With the announcement at the end of 2015 that Warren Federal Credit Union would be merging with Community Financial Credit Union, it was safe to assume 2016 would be an exciting year full of change and new opportunities. By coming together, Warren and Community Financial looked forward to providing more services and convenience for the membership, while continuing to give back to the communities we serve. 2016 started out with the debut of our newest debit card design. Members eagerly came in to get their new card with the Wyoming bison design to show they are “Wyoming Proud”. In addition to the new cards, we partnered with local businesses to offer discounts for Wyoming Proud debit card holders. Thousands of debit cards were issued and we still see the novelty cards all around Cheyenne today. As we prepared to officially merge two organizations, a new name and new brand identity were created to recognize the united Credit Union. 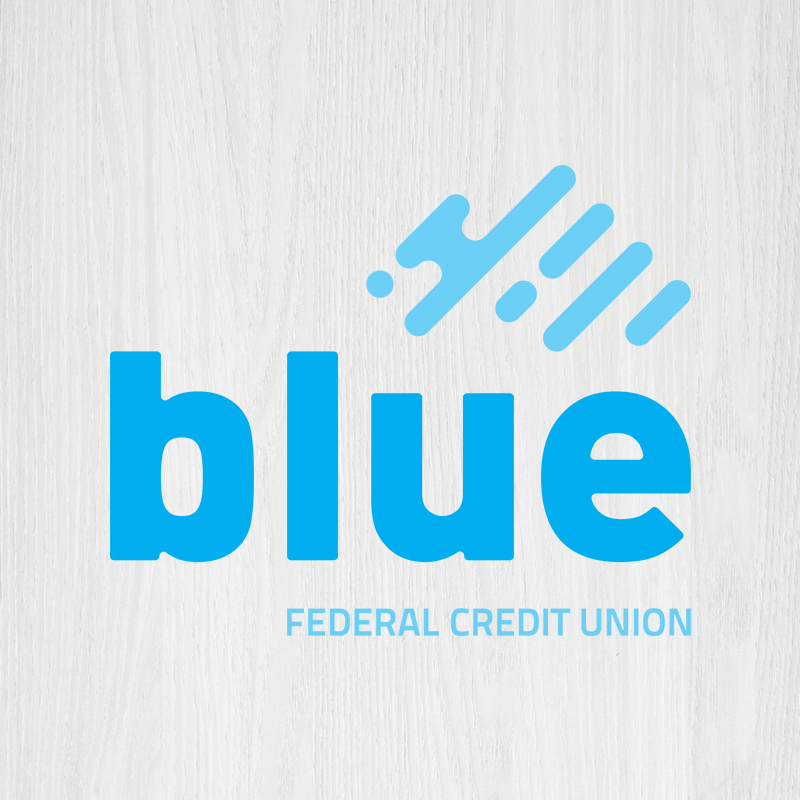 On April 1, Warren and Community Financial became Blue Federal Credit Union. Along with finalizing our merger, spring of 2016 was an eventful time for us. The Blue Foundation was happy to award scholarships to future community leaders in Wyoming and Colorado. We celebrated National Credit Union Youth Month by giving away a youth bicycle in all of our branch locations. The weather was perfect for our annual Wyoming Law Enforcement Memorial 5K run and we were happy to see so many participants that weekend. And to top it off in May, we proudly launched our brand new website. Our summer events season was so much fun, and we are thankful to those who helped support our events with their attendance. In addition to our Membership Appreciation BBQs held in all our communities, we hosted Bike to Work Day breakfast stations in Cheyenne, Broomfield, Boulder, Fort Collins and Laramie. 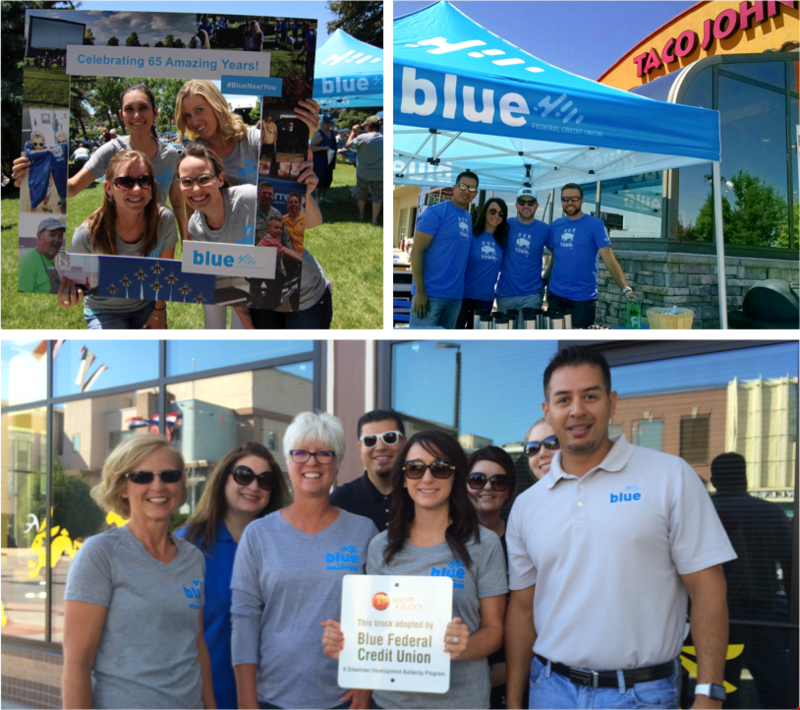 To show our appreciation for our Wyoming communities, Blue organized a series of Our Town pop-up events. Blue partnered with local business who also got their start in Cheyenne – Taco Johns, Paramount Coffee, Coal Creek Coffee, Coal Creek TAP and Accomplice Beer Company – to provide free lunch or beverages to community members. We were also proud to partner with United Way of Laramie County for another year of the annual golf tournament on F.E. Warren Air Force Base to benefit United Way. And, to further show our appreciation for our members’ loyalty and business, we launched our enhanced Rewards for Life program in August of 2016. Along with all our fun community events, we were happy to provide our members additional security and peace of mind with the issue of our new EMV debit cards and the CardNav mobile app, which allows members to have control over their debit card. In October of 2016, we celebrated the opening of our 12th branch location in Old Town Fort Collins. And recently we’ve been getting into the holiday spirit by participating in the Cheyenne and Wellington Christmas Parades. We have also celebrated the holiday season by partnering with CASA of Cheyenne to donate holiday gifts to 186 children in foster care, plus providing a movie night for the families to enjoy. This was definitely a memorable and historic year for us, and we can’t thank our members enough for another successful year with the Blue. We have so much to look forward to in the New Year, including the opening of our 13th branch location in early 2017. As 2016 comes to an end, we hope you have a safe holiday and Happy New Year from Blue Federal Credit Union!